With the start of the New Year, many Christians like to put in place some sort of structure to help hold them accountable to the personal habit of spending time in the Word. I’m a big fan of structure and accountability. I need them myself in any area of my life where the good behavior that ought to happen habitually does not. But just as not all diet and exercise plans are equally beneficial or interchangeable, neither are all accountability systems for spending time in the Word. As you lay out your strategy for interacting with your Bible in the coming year, here is a breakdown to help you weigh your options. What they are: Reading plans provide a structure for reading the entire Bible over a set period of time. They vary in length and strategy. Some take you from Genesis to Revelation, some go in chronological order, and some combine daily readings from both the Old and New Testaments. What they do: Reading plans help us cover a lot of ground in a relatively short period of time. They give broad exposure to the Bible as a whole, helping us develop familiarity with it from beginning to end. Who they help most: Reading plans help believers of any stage of maturity. Many mature believers have never read the Bible in its entirety, and for those who have, doing so repeatedly brings ever-increasing benefit. What they don’t do: Reading plans don’t allow for in-depth exploration of themes or stories. Their aim is breadth over depth. Which to choose: Which plan you choose is, to some degree, a matter of preference. If you are looking to grow in Bible literacy, choose a plan that moves through each book of the Bible from start to finish, versus one that combines OT and NT readings each day. I favor chronological plans that move at a slow enough pace to allow time to absorb what you are reading. If finishing in a year means you are reading faster than you are able to retain what you are reading, slow down your schedule. Here is a list of plans you can consider. What they are: Because we so often refer to any time we spend in the Word as Bible study, I want employ a distinct definition here for the sake of clarity. 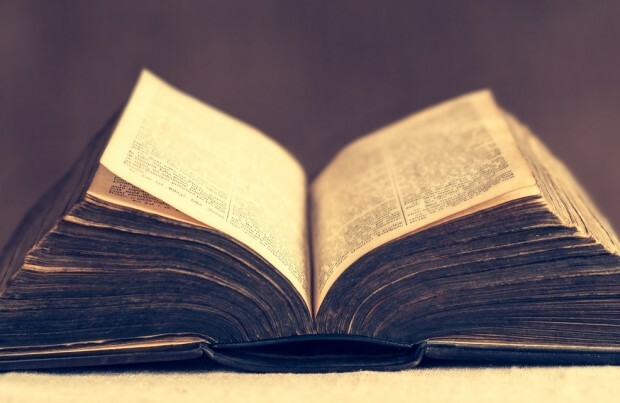 Bible studies teach us an entire book or major passage of the Bible from start to finish, taking time to instruct us in context, genre, themes, and theological implications. They do so according to time-honored rules of interpretation. What they do: Bible studies help us slow down and “own the text”. A good Bible study teaches both method (how to study) and content (the text it covers), and that takes time. If reading plans are a sprint, Bible studies are a stroll. Who they help most: Like reading plans, Bible studies help believers of all levels of maturity. For the new believer, they impart much-needed tools for ongoing study, as well as foundational comprehension and interpretation of the text. For the mature believer, they hone skills and deepen understanding, preparing them not just for further learning but for teaching others. What they don’t do: Bible studies don’t move at a pace that allows for broad exposure to the Bible over a relatively short period of time. Their aim is depth over breadth. How to choose one: Look for studies that ask you to do the work of comprehending and interpreting the text, providing you with the tools to do so. The less spoon-feeding of commentary they do, the more they will help you grow in Bible literacy. Look for studies that ask you to work at personal discovery before they offer you interpretation and application. I like the NavPress LifeChange series, studies by Kathleen Nielson, or you can try any of the studies I have written for FMWBS and LifeWay. For a faster pace with solid approach and content, Nancy Guthrie’s studies are also excellent. What they are: Again, clarity of terms matters. Topical studies differ from Bible studies in that they seek to integrate broad concepts by pulling verses from all over the Bible, versus moving systematically through one text. Covering topics ranging from doctrine to finding contentment to how to be a godly parent, they offer a Biblical framework for understanding a particular issue. What they do: Topical studies help us explore, synthesize and apply broad concepts found in the Bible. Who they help most: Topical studies offer the most help to those who have (or are working to have) a foundational understanding of the Bible. In other words, you gain the most benefit from them if you have given time to reading and studying your Bible. What they don’t do: Used exclusively or excessively, topical studies offer limited help in building Bible literacy. How to choose one: Because they rely so heavily on the footwork of the author/teacher, it’s wise to choose topical studies written by those with a track record of expository (line by line) preaching/teaching. An expository teacher is less likely to pull verses out of context to make a point. It is also vitally important to research the author’s theology. While you don’t have to align perfectly with their theology, knowing their vantage point will help you think critically about what is being taught. Tim Keller, D.A. Carson, John MacArthur, and R.C. Sproul are good authors to start with. If you’re interested specifically in female authors, Melissa Kruger, Jen Michel, Hannah Anderson, Megan Hill (forthcoming), Nancy Guthrie and Gloria Furman have written excellent topical offerings in study formats or with study guides. Perhaps the most important question to ask at the start of the new year is not “Which should I choose?” but “Which should I emphasize?” All three of the options described above have a role to play in our spiritual growth, as do memorization, meditation, and even devotional reading. A new year often means evaluating where we have gotten stuck in a rut. Sometimes a rut isn’t necessarily a bad practice, but a good practice followed to the exclusion of other good (or better) practices. I suggest you assess where the bulk of your time has been spent when you sit down with your Bible. Then seek to allocate it going forward in a manner that builds both breadth and depth of understanding. I pray the Holy Spirit brings about fruitfulness and maturity in you as you thoughtfully place yourself under the nurturing authority of the Scriptures, this year and every year. Feel free to fill the comments with additional resources you have found helpful! I like your distinctions and descriptions of the different ways to spend time in God's Word. I am a strong believer in reading the Bible through, but not pushing to do so in a year. Sometimes I'll take a break in-between books or after finishing Revelation before starting Genesis again to do a different kind of study. I think a lot also depends on what kind of preaching a person is under. When we were under a pastor who took years to go very thoroughly through the book of Romans, I was more inclined toward general, overview reading in my own time with the Lord. But in the churches we have been in since we moved, the preaching has been more general, or at least less detailed, so then I feel the need to be more detailed in my own reading. This was so helpful! Your definitions of each type of study and the benefits and shortcomings of each one remind me to be diligent about incorporating all areas of study into my life. I'm looking forward to doing your 1 Peter study this year. Thank you for writing Bible study material for women! I learn so much from Precepts courses, which would fall under the category of Bible Study here. They take an hour of work a day, which I can little spare as a stay at home, home schooling mom of four under five, but I have learned that really I cannot spare the time to not do it, if I am going to be a faithful parent to my children. I am also attempting to read through the Bible this year, which I have to admit will likely fall by the wayside, but it has been too long (maybe five years?) since I have done it, so I'm going to try! I find the more time I spend in His Word, the hungrier I am for it and the more time I carve out for it. I've had to completely give up TV and movies, but it's worth it! I love your breakdown of the different ways to approach Bible engagement. I also think that your description of a "rut" at the end of your post is a good perspective. Thank you for writing! This was extremely helpful! Thanks for sharing your gifts and talents, Jen. This was so great thanks so much Jen! !